Isola is a leading global material sciences company that designs, develops, manufactures and markets copper-clad laminates and dielectric prepregs used to fabricate advanced multilayer printed circuit boards (PCBs). Isola’s purpose is to improve life by enabling innovation in electronic products. We do this by manufacturing the PCB materials that help other companies make cutting-edge products. The role we play is very significant. Through our innovation, and cost competitiveness, we help enable products that change the world. 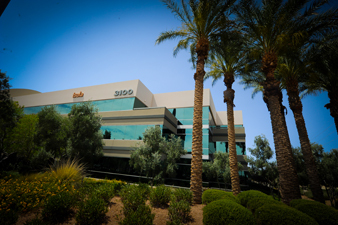 Our customers acknowledge that what makes Isola different than its competitors is that we have global manufacturing, research and development, technical support and sales teams located on three continents. Our global footprint includes eight manufacturing facilities, three research centers and four regional/corporate offices located in Asia, Europe and the United States. Isola’s customers design and fabricate PCBs—the physical platform for the semiconductors, passive components and connection circuitry that power and control virtually all modern electronics. Isola’s high-performance PCB materials are used in a diverse range of electronic end-markets including applications in computers, networking and communications equipment, high-end consumer electronics, as well as products designed for use in the advanced automotive, aerospace, military and medical markets. We also invest in research and development to create industry-leading products formulated to meet the most demanding performance requirements of our customers, the PCB fabricators, and the designers and original equipment manufacturers (OEMs) that they serve.